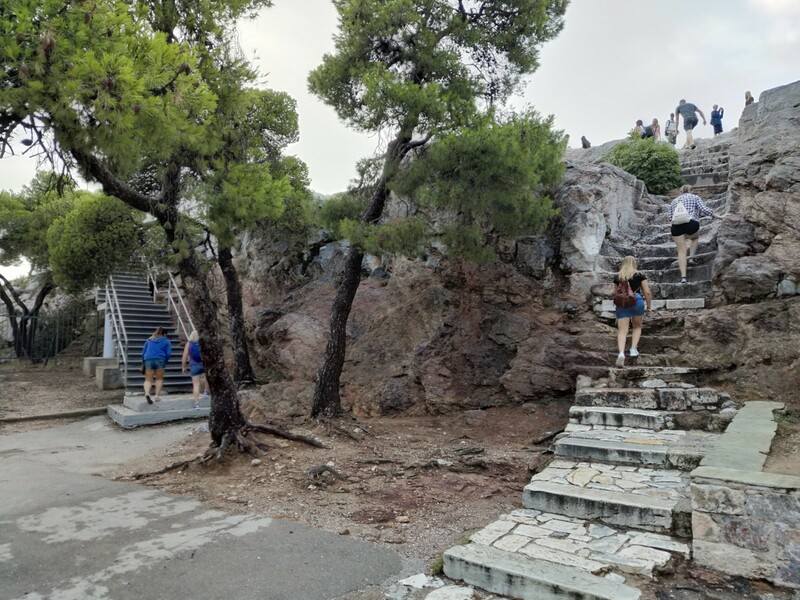 We had to go on a "photo safari" - two photos of ancient Athens, two of modern Athens, and one that was a hybrid. We went to the old Polytechnic university buildings that were the site of an uprising in 1973. It was incredible to see the gates that were smashed by the tank, as well as all of the street art on the buildings. You could really feel that an incredibly important event had happened there. After that we went to the National Archeological Museum that was next door to find our ancient pictures...except those were incredibly ancient. I enjoyed seeing all the different statues of Greek gods and historical figures, but after a certain point they all started to look the same. 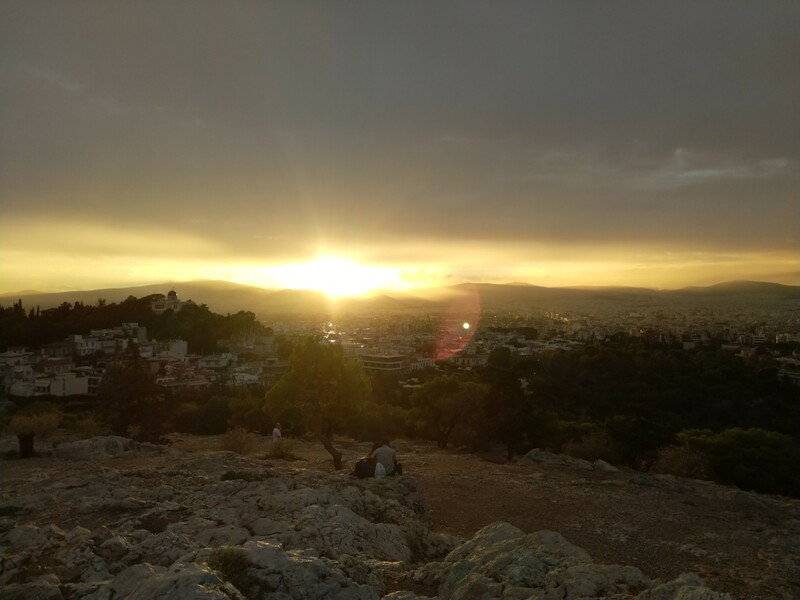 The coolest part of the day was going up to the Acropolis in the evening. It had begun to rain, so most of the crowd was gone, and there was no line. The Parthenon is just as incredible as I've seen in every photo, and the view from it is fantastic. We waited about 2 hours through the sunset and then a bit more for it to get dark and all lit up. Someone even set off fireworks on a nearby hill. Also, one of my favorite xkcds is Ten Thousand. Yesterday I got to teach someone that the number of chimes in a striking clock is the number of hours it currently is. :D I was slightly dissapointed that wikihow's How to Read a Clock didn't explain how to "read" a striking clock.